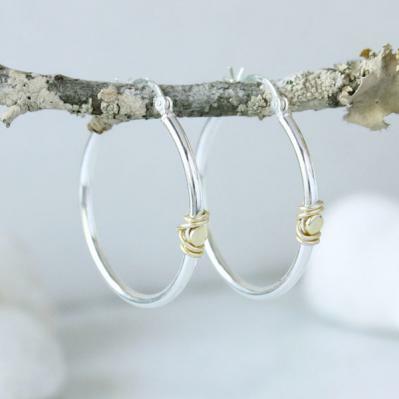 We love hoops and we have taken a classic silver hoop earring and wrapped it with a gold wire to create a two-tone accessory that will pair with any necklace you have! Earrings that will literally become your go-to accessory for any occasion. 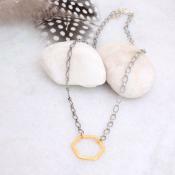 They are simple and the two toned silver and gold make them versatile to wear with virtually any necklace! 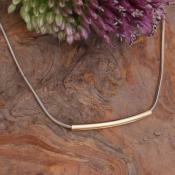 The silver hoops are sterling silver and the gold wire is indian brass. All sales are final. Dimensions: Hoops are approx 1 1/4" in length.